Jesus Christ Fills My Purpose…Does He Fill Yours? This morning as I read Jesus’ words to Paul on the Damascus Road, “I have appeared to you for this purpose…to make you a minister and a witness [of Me].” (Acts 26:16-) I was reminded of my own journey. Paul was knocked off his religious high horse, his cause–killing followers of Jesus–and given the radical command to witness FOR Jesus. Now that’s a humiliating paradigm shift of purpose! I have been guilty of being zealous for the wrong things myself–all for God’s sake of course. I was concerned with keeping the law, appearance of evil, eating perfectly, dressing perfectly and then of course–judging perfectly–especially those who weren’t as zealous as me. I didn’t kill people in the physical sense, but I know I left a few strewn along the roadside in a spiritual sense. Then Jesus appeared to me…I had to choose. My religion or Him–a single-minded relationship with Him. It may sound silly to some, but the decision was hard–a paradigm shift of thinking and being, not to mention the admission that I had been focusing on all the wrong stuff before. My pride did not want to admit that. 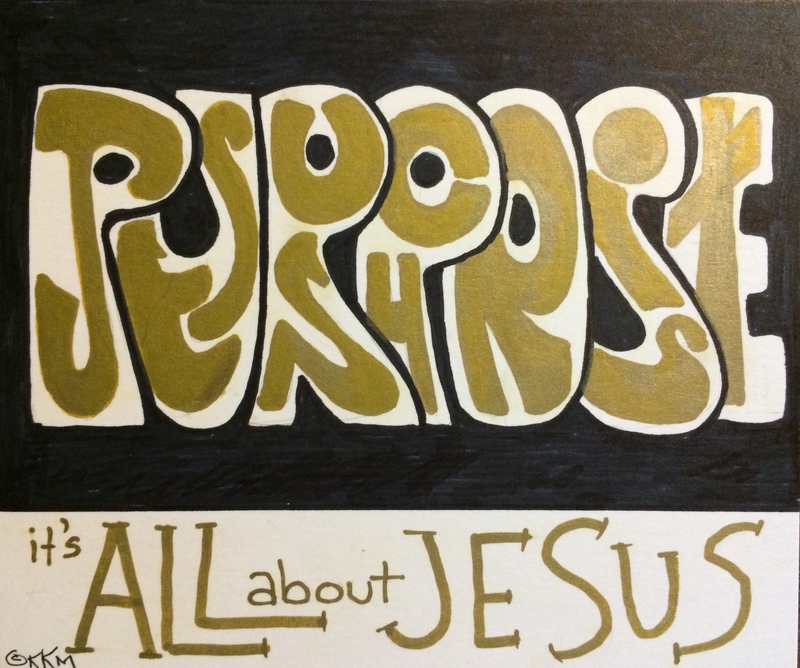 Question for the day….Does Jesus Christ fill our purpose?